The talks focused on moves to secure peace in Libya and Syria, the Palestinian issue and supporting the UN's Palestinian refugee agency following aid cuts by the US earlier this year as well as international counterterrorism efforts, the ministry said in a statement on Wednesday. During its presidency, Shoukry said in the statement, Egypt pushed for the eradication of poverty and the implementation of a fair and equitable international economic order, while focusing on youth, employment and women’s empowerment, the ministry's statement said. 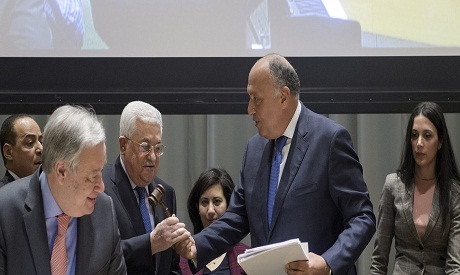 The duo also discussed reform of the UN, with Shoukry emphasising the process should focus on "development work, transparency, strengthening the mechanisms of liability and accountability as well as empowering member states to follow up and evaluate the UN's implementation of the resolutions and programs adopted."